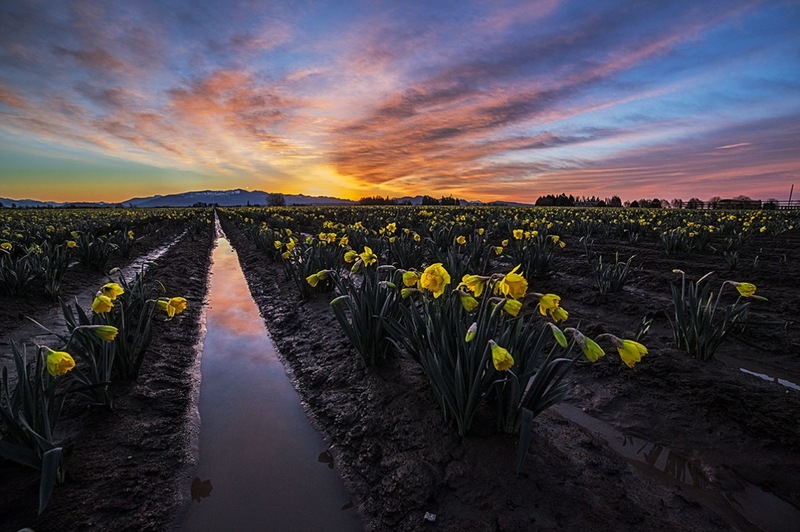 The La Connner Daffodil Festival signals the start of spring in the Skagit Valley. 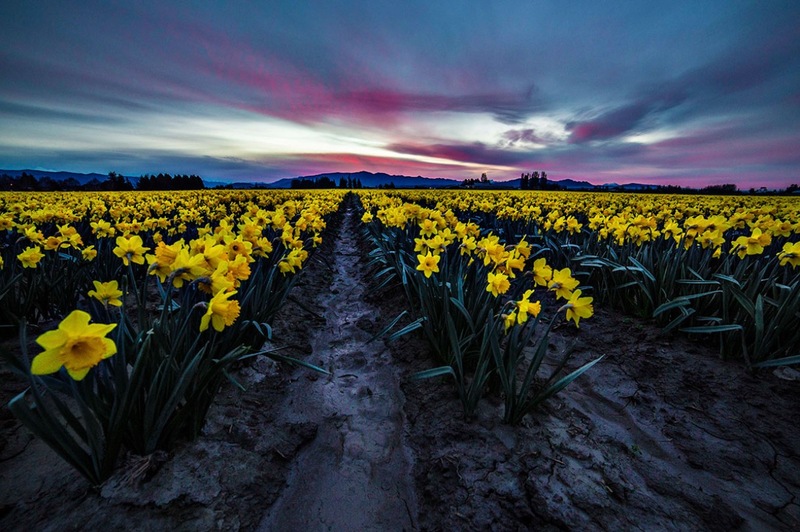 As the dreary winter drags to a close the fields of the Skagit Flats slowly come alive. This year’s winter was a bit longer than we're used to; snow was covering the ground only a few weeks ago. Several warm, sunny spring days is all it took to start this year’s bloom. 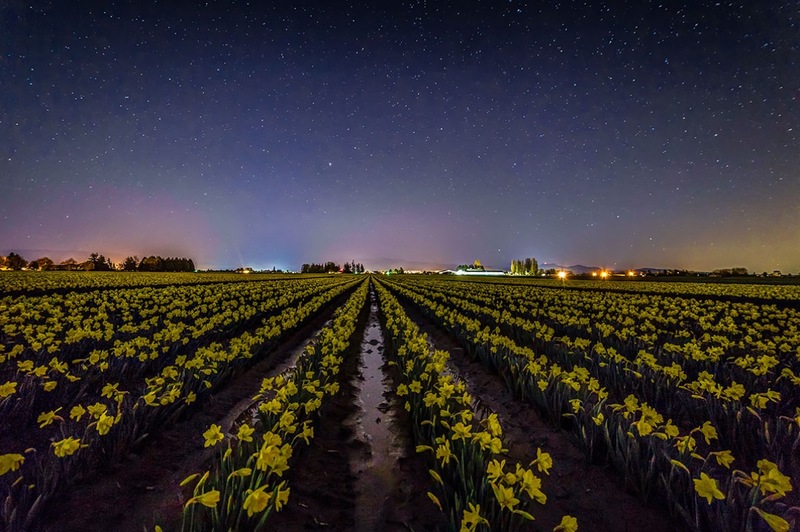 Here is a recent image, "Daffodils under the Moonlight" from March 22, along the La Conner Whitney Road. 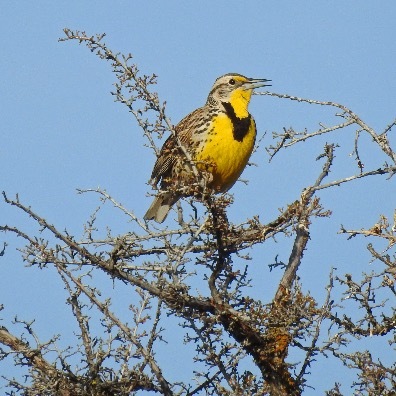 The bright colors are all it takes to chase away any lingering winter blues! Each year the daffodils are in different locations, the Bloom Map shows where the fields are located, and when they are in bloom. 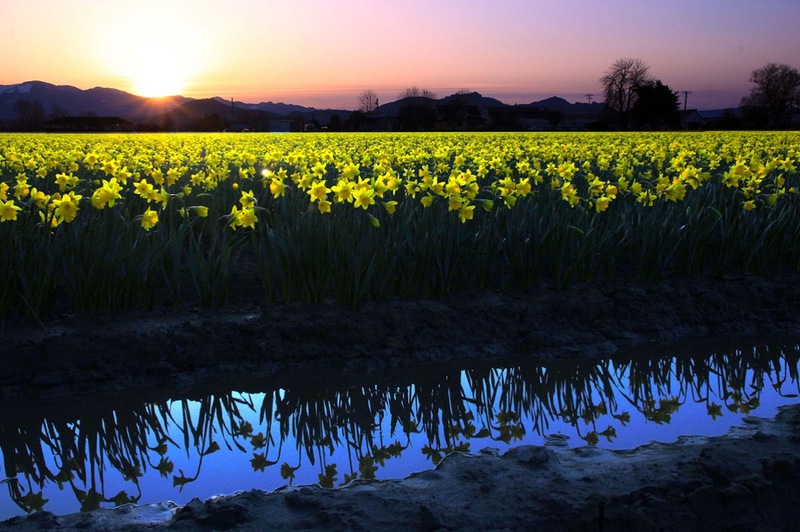 The La Conner Daffodil Festival starts whenever the daffodils start to bloom, which can be anywhere from late Feb until late March. 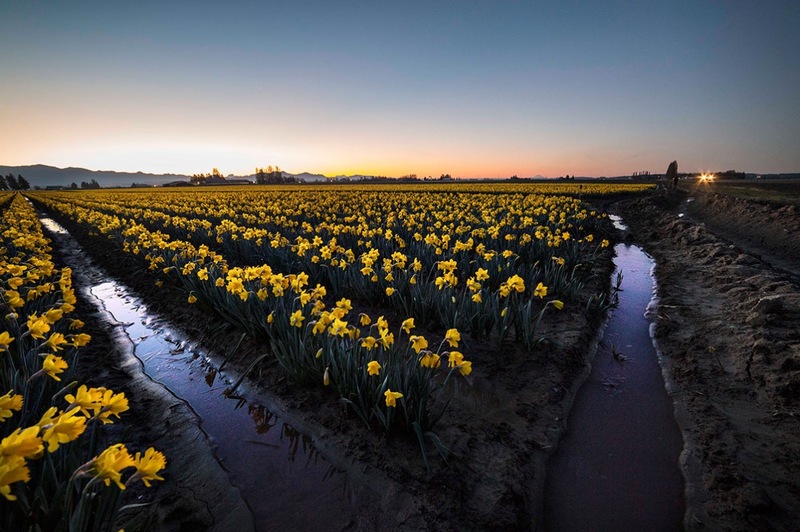 Photographers get ready for the La Conner Daffodil Festival Photo Contest! 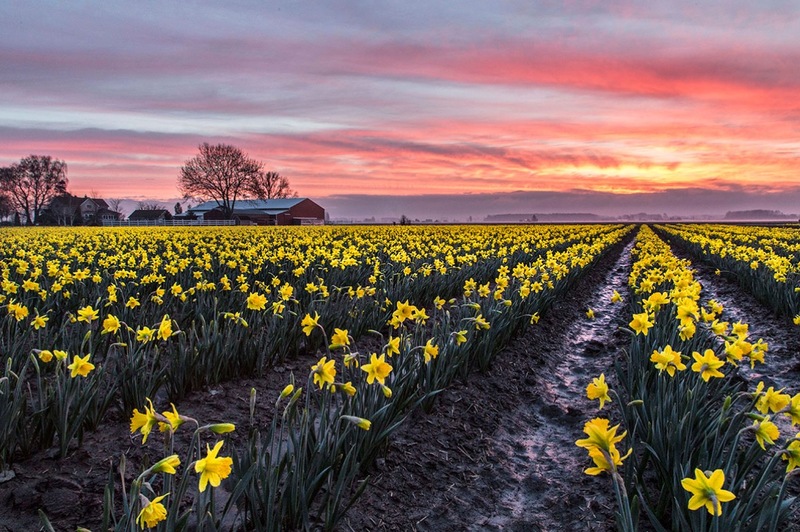 All you have to do to be entered to win is take your photos during the La Conner Daffodil Festival and then post to Facebook or Instagram with hashtag #laconnerdaffodils. 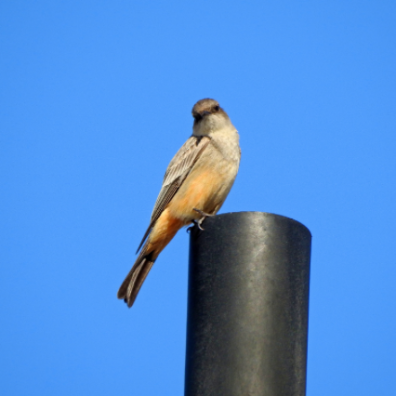 We will then choose the top 10 photos and have the public vote on the winning photograph! 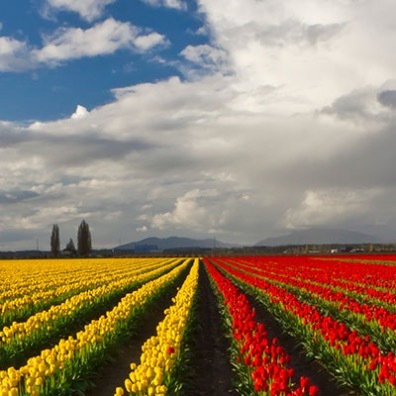 The winner will receive a cash prize and be crowned the La Conner Daffodil Festival Official Photo. 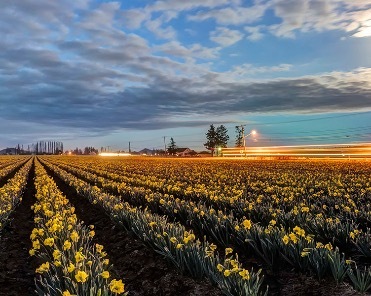 The photograph will also be used for publicity for the following La Conner Daffodil Festival! The best times are sunrise and sunset. Please don't park your car anywhere you're not supposed to, and be careful out there! Here are a few more images from years past.